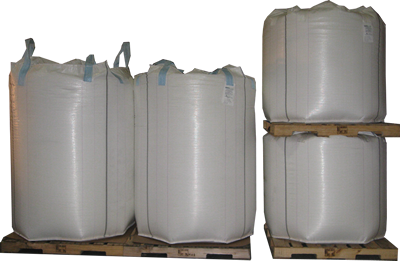 At AmeriGlobe, we have all of your standard bulk bag styles, such as U-Panel, Circular, and Baffle bags. But we also manufacture innovative bulk bag styles that can save your company money. For companies that use baffle bags to get extra stability in their bulk bag, we sell the MegaBase®. Baffle bags (also known as Gambo bags or Q Bags) derive their stability from expensive internal baffling. This can add as much as 30% to the cost of the bag. The MegaBase® bag has the stability of a baffle bag without the added cost. The MegaBase® also is easier to fill, reduces sifting and reduces contamination. If you are tired of the extra cost involved in shipping your bulk bags or semi-bulk boxes on pallets, the FreePac™ may be the bag for you. The FreePac™ with integrated BagPal technology is designed to allow bulk bags to be used without wooden pallets, which helps to avoid the expense of heat treating the pallets for export shipping. The patented drop-down portion of the bulk bag increases the FreePac's™ overall stability when stacked and adds volume to the bulk bag, making it more efficient for shipping and storage than other packages. AmeriGlobe also has a bulk bag that can save money for companies that use expensive fiber drums. Our patent pending FreeStanding Drum Bag gives you the stability of a drum for fluid products but reduces the cost. 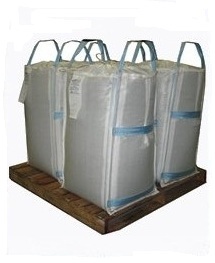 Our drum bag typically weighs less than two pounds, reducing your freight costs. After all, why pay more in shipping because your packaging is heavy. The flexible nature of our packaging allows us to put 200 empty bags on one pallet. If you are receiving fiber drums, it likely takes a third of a truckload to hold that many. These are just a few of the ways that AmeriGlobe's Bulk Bag Innovations can save money for our Customers. Call AmeriGlobe today to see the savings for yourself!